Success for the Vasco da Gama Summer School 2018! 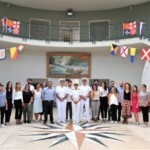 Home/Maritime, Regional and Partners News/Success for the Vasco da Gama Summer School 2018! 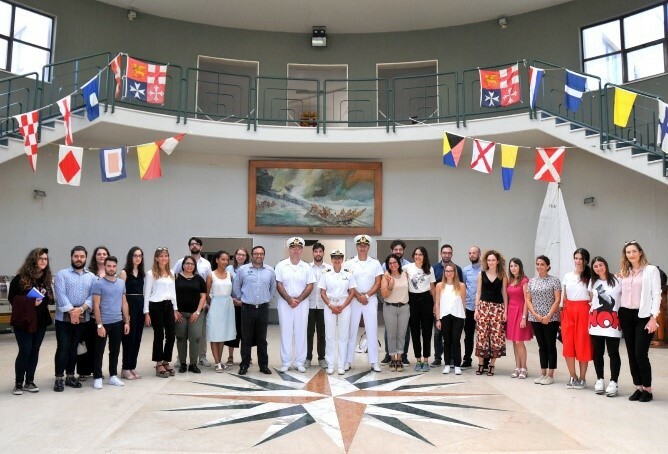 The Vasco da Gama Summer School “Navigation: Safety and Environment”, was successfully held from 2-6 July 2018 in Taranto, Italy. 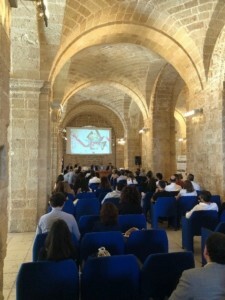 Organised by the University of Bari “Aldo Moro”, co-financed by the Apulia Region and the European Union, and held in collaboration with the Confindustria of Taranto, the Italian Navy, and the Port Authrorities of Puglia, the Summer School involved the technical support and participation of the Inter-Mediterranean Commission of the CPMR. Inspired by the CPMR VdG Initiative and the former Vasco da Gama project “Training for Greener & Safer Maritime Transport” activities, the Summer School VdG 2018 aimed to set up and develop an innovative educational project on multimodal carriage, with a focus on the maritime, port logistics and environmental challenges from which the maritime entrepreneurs can benefit, fostering young people involvement and facilitating the interplay between actors carrying out multi-modal carriage and port logistics services. 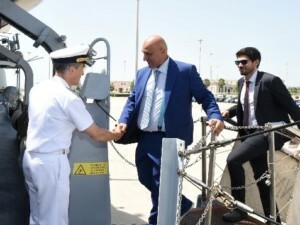 The SS also intended to improve the attractiveness of the productivity and service chain by promoting the sector of the multimodal carriage and port logistics, fostering the entrepreneurial spirit through the explanation of chances and obstacles that currently hinder the development of far-reaching and high-potential chains. 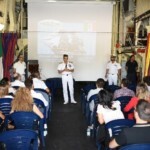 The training aimed also to facilitate the cultural and generational exchange among people coming from Europe and the Mediterranean, shortening the distances between EU citizens and institutions, organizing presentations and discussions on the European and Mediterranean related policies concerning multi-modal carriage, port logistics and environment. 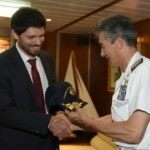 The VdG SS was developed in the frame of the Memorandum of Understanding between the CPMR and the University of Bari Aldo Moro and counted on 31 participants from Italy and the EU/Mediterranean area, mainly professionals, and university graduates linked to the field covered by the SS and maritime related sciences. 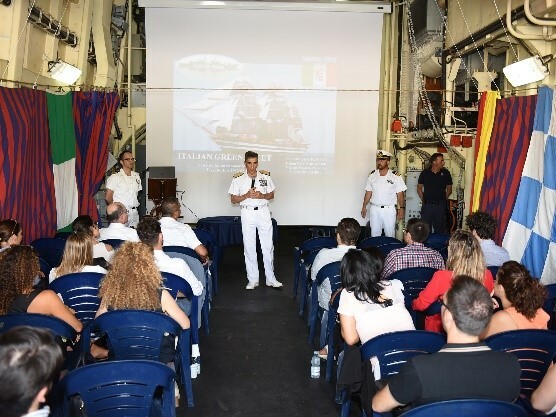 Also, several representative of the Italian Navy took part in the courses that involved more than a dozen high qualified professors and professionals coming from different universities and sub-sectors of the Blue Economy. 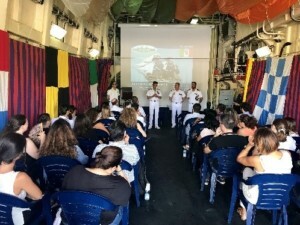 The SS was held in the multimedia rooms of the “Ionian Department” of the University of Bari, the Naval Petty Officers’ School of the Italian Navy and in the warship “Durand de la Penne” in the Port of Taranto. In this context, the IMC-CPMR participated to the launch ceremony of the Summer School – chaired by The Rector of the University of Bari, Prof. Felice Uricchio, and at the presence of all co-organizing authorities – through a lecture by Executive Secretary, Davide Strangis on CPMR IMC regions’ work on Blue Growth & Euro-Mediterranean emerging strategies and Initiatives. 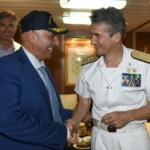 The contents delineated the various policy strategic frameworks the IMC-CPMR Regions work in and the main cooperation projects it has been and is currently participating in to an audience of lawyers, engineers, economists, and Navy officials, and counting on an encouraging participation from women in general. 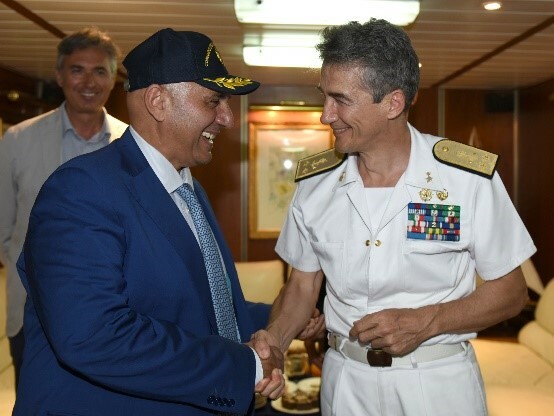 Davide Strangis affirmed: “The CPMR is strongly committed to support the development of the Integrated Maritime Policy and emerging strategies and initiatives at EU and Mediterranean level such as West MED, EUSAIR or Bluemed. 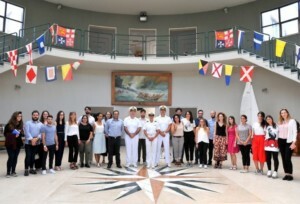 With our think tank and advocacy activity, our partnerships and initiatives like Vasco da Gama we seek to positively influence transnational mobility and education of young graduates and professionals in the field of the maritime economy, boosting blue skills but also the matching between demand and offer of training and the specific needs of the private sector. 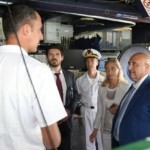 The objective is to strengthen networking and generate a positive effect on the socio-economic development, taking stock from the potential of youth, blue economy, and innovative partnerships based on the quadruple helix, which can be true assets for the EU. 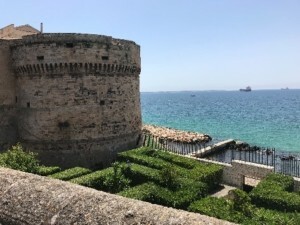 The important partnership between the University Aldo Moro and the CPMR – and the VdG Summer School itself – are the perfect example of the positive synergies that can be built upon the collaboration between Regions, Universities, Port Authorities, the Private Sector, and Europe”. 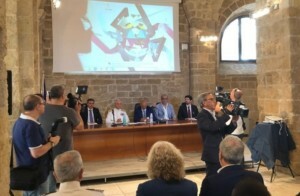 During the inaugural ceremony, a specific agreement was also signed between the University of Bari and the Authority of the Ionian Sea Portual System, to develop synergies for the promotion of entrepreneurship and innovation, as well as the consolidation of the relations with the territory and the stakeholders, and the diffusion of the port related/maritime, transport and logistic culture also through digital technologies. 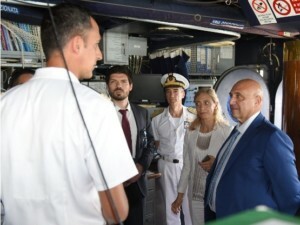 This will lead soon to joint training, study and research activities in the framework of the economy of the sea and maritime transport, even in areas like tourism and using innovative technologies like blockchain, internet of things, robotics, cognitive intelligence. 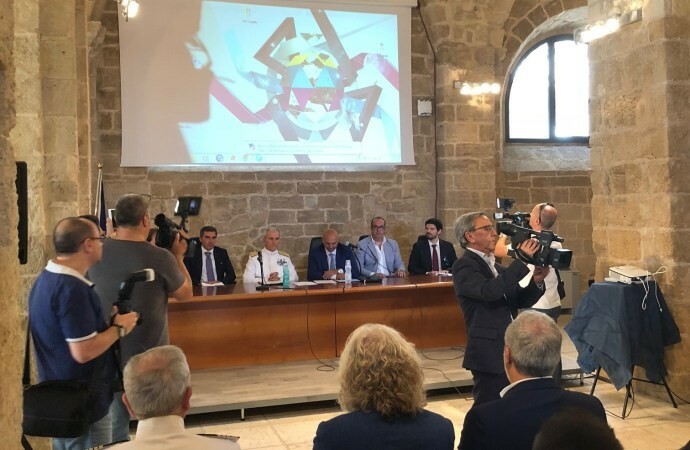 The idea is to build an incubator of innovative enterprises able to attract funding and qualified partners to give dynamism to the Mediterranean “Innovative Ecosystem”. 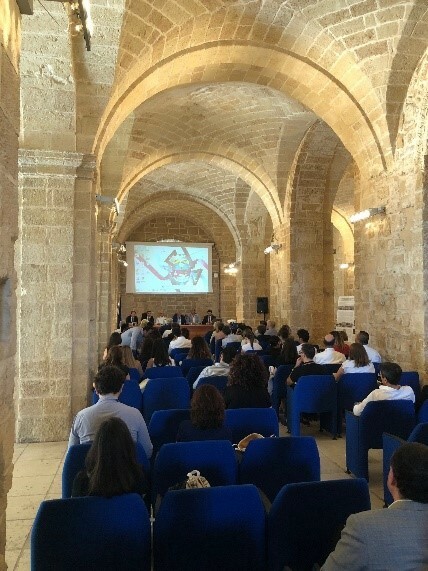 Through the following days, CPMR IMC Policy and Programme Officer Elodie Nunes also carried out an interactive workshop class, deepening into the previously introduced elements by practical project cases (notably from Interreg Med) on ports sustainability, the logistical chain efficiency, air quality monitoring, or maritime surveillance market development. These cases were complemented by all participants’ sharing of experiences, and specific reflections on key technical cooperation concepts and practices. The issue of mobility was also dealt with, underlining the importance of fostering mobility of Navy and maritime field workers and students for a more efficient capacity building and state-of-the-art skills, while building up resilience towards cultural awareness. 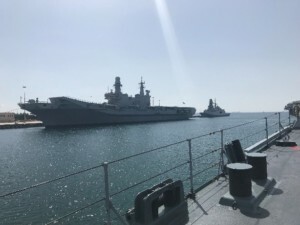 The CPMR was also able to favour the participation in the SS of experts from other European maritime institutes such as Ossi Westila and Rudy Dequick that gave specific lectues on maritime transports and simulators. Besides all theoretical classes, the Summer School offered the participants an interesting technical visit to shipyards and the warship “Durand de la Penne”, a naval simulator workshop and a visit to the scientific and technological pole “Magna Grecia”. 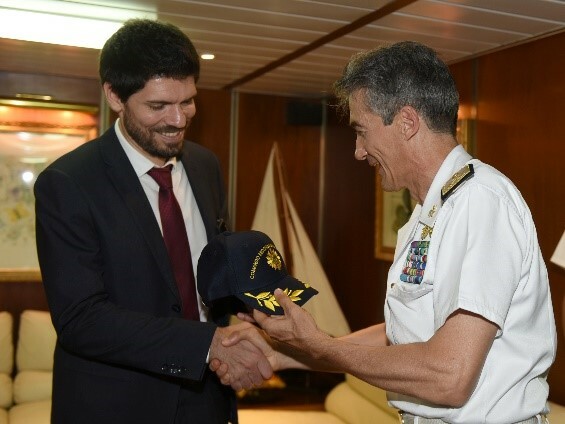 It was also an occasion for discussing present and future synergies between the University of Bari and the Italian Navy, strengthening an already sound relation. 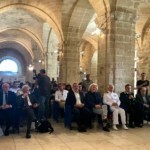 Interest from all the organizers and other IMC Regions and Universities is already high to follow up the results of this Summer School and replicate it again in the future, even with a focus on potentially linked topics such as marine renewable energies, yachting, sustainable marinas, or in other sectors linked to Blue Economy. 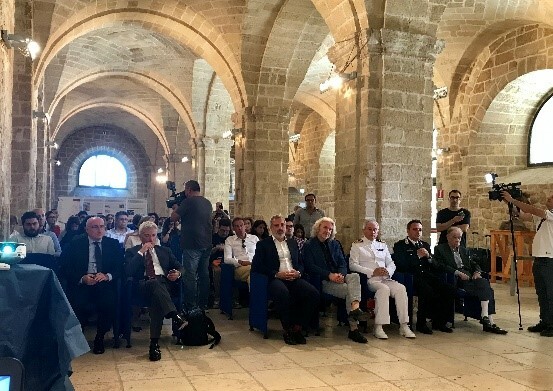 The visit in Puglia was also the perfect opportunity for the Executive Secretary of the IMC to organize bilateral meetings with the University of Bari, the Region of Puglia, the IPRES institute and the Secretariat of the Programme Interreg CBC IPA Italia-Albania-Montenegro. For more information on the Summer School, visit the University or CPMR dedicated websites sections or contact davide.strangis@crpm.org or elodie.nunes@crpm.org.